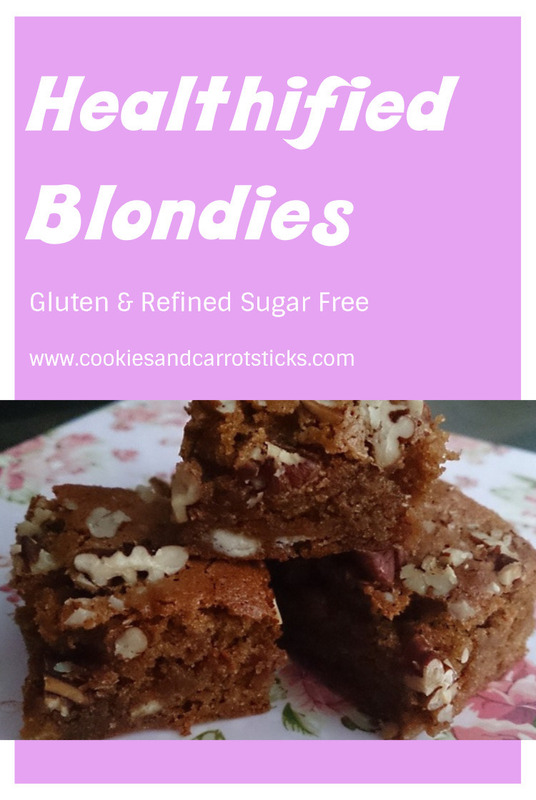 Ever heard of blondies? It’s like the blonde sister of a brownie. 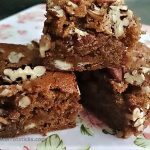 Sweet, fudgy, totally not good for you. A treat I tremendously enjoy. But just once in a while. 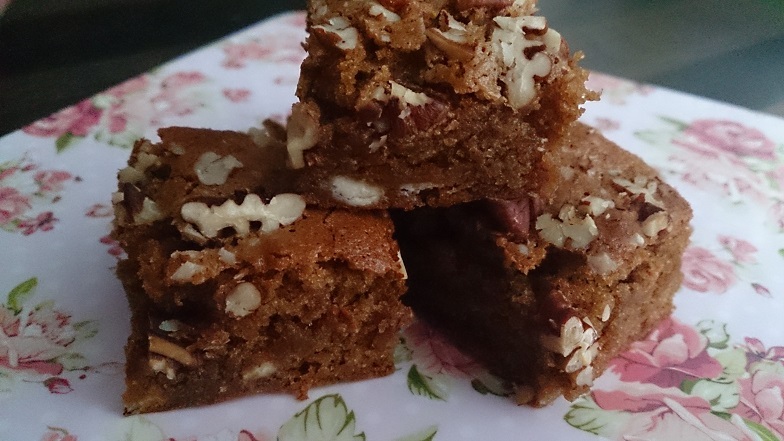 And as it’s really one of my favourite treats, I decided to make a somewhat healthier version. Not only did I swap a few ingredients for a little bit healthier options (let’s be real though, it’s still cake with sugar), I only made it small. No overeating. Unless you eat the whole thing in one go. 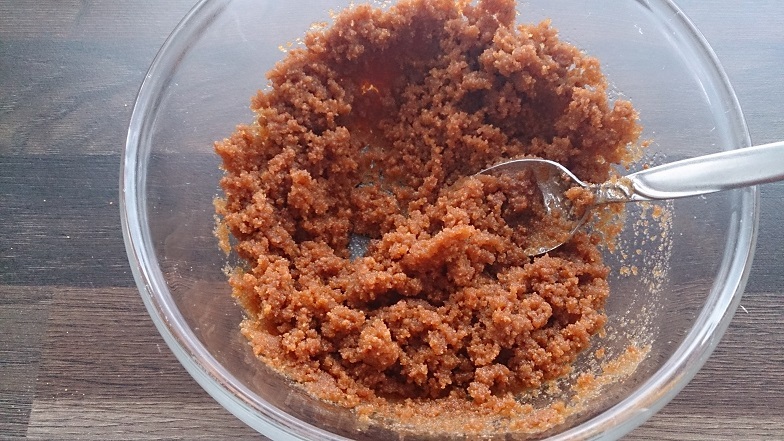 If you think this is too small, simply double the recipe. 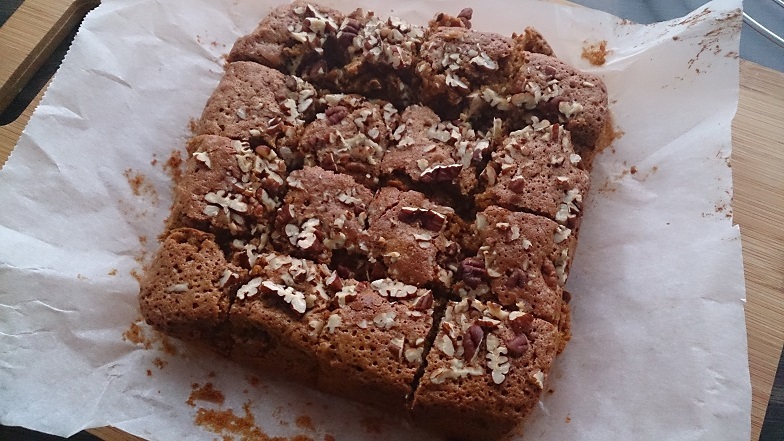 Preheat your oven to 180°C and line a small baking tray (small brownie pan) with parchment paper. 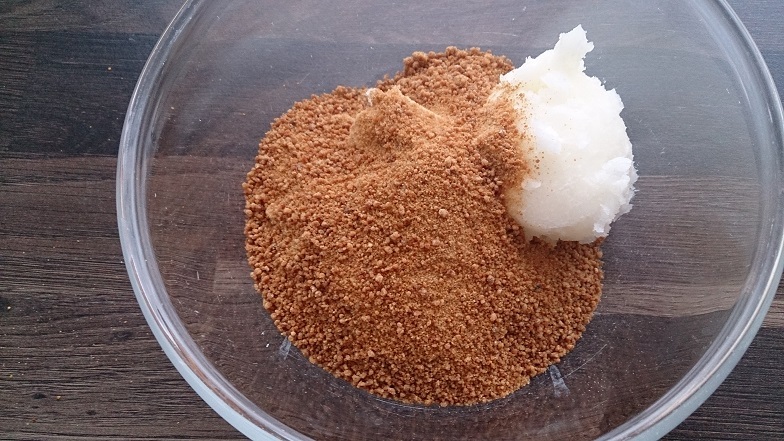 Melt the coconut oil together with the coconut blossom sugar. You can do that in a pan over low heat, I just used the microwave. Mix well. It’s not liquid, more a grainy paste. 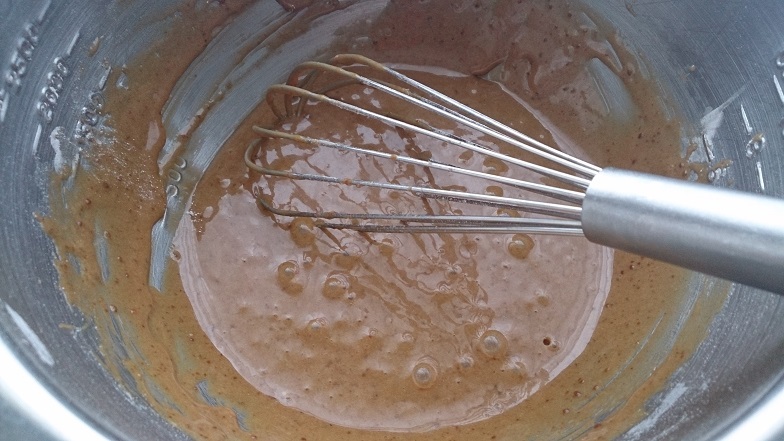 In a mixing bowl, lightly beat the egg. 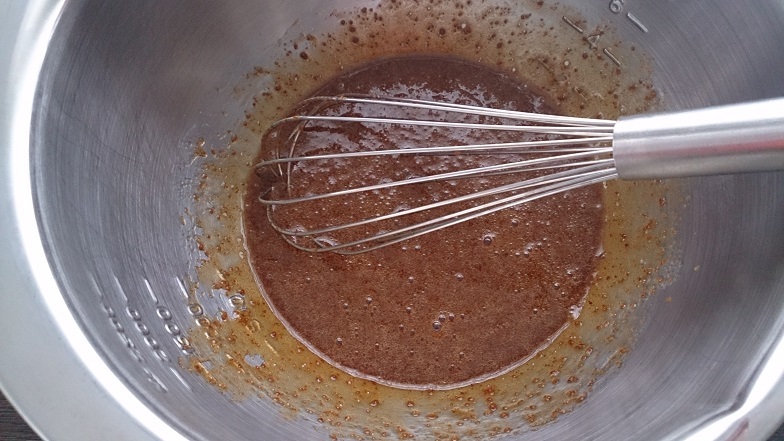 Add the oil/sugar mixture and the vanilla extract and mix well. 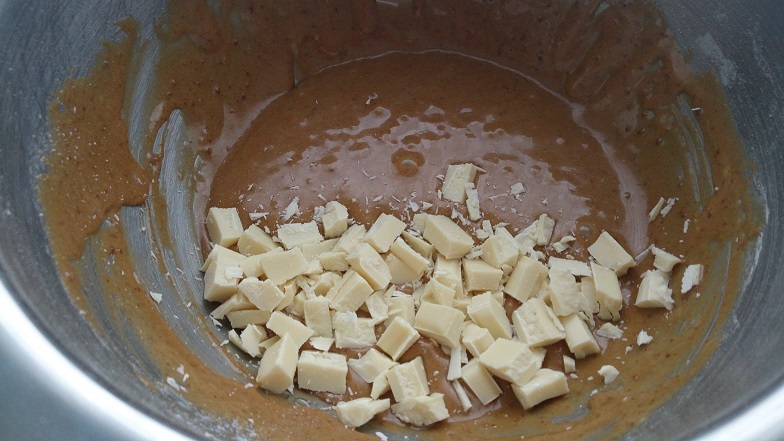 Chop up the chocolate (or use sugar free white chocolate chips) and fold into batter. 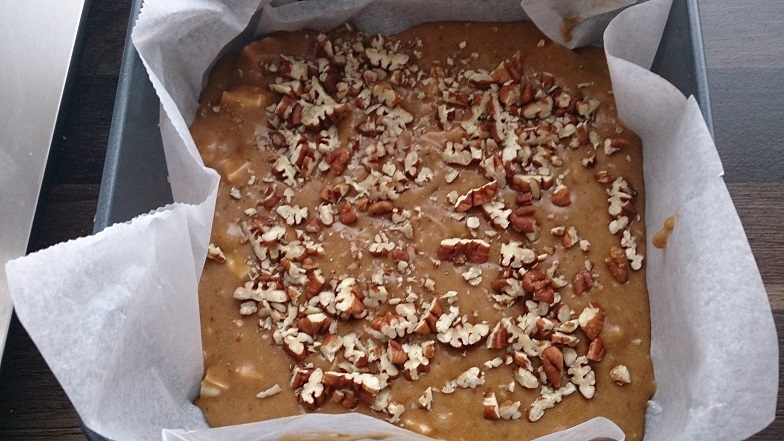 Pour batter into prepared baking dish and sprinkle chopped pecans on top. Bake ca. 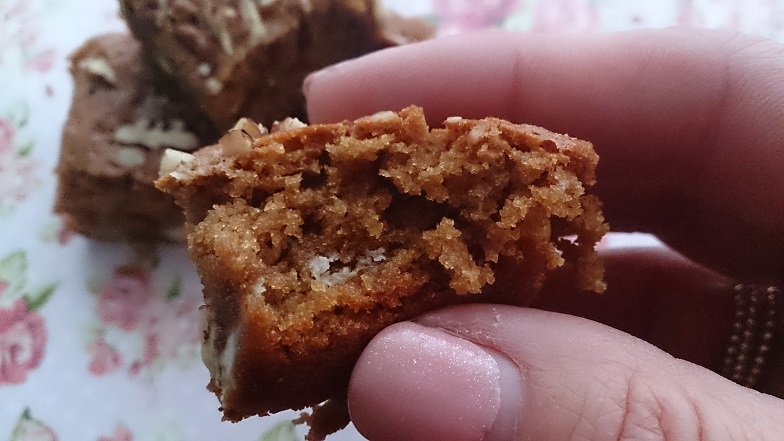 15 minutes for a more fudgy consistency, 20-25 for a more cakey consistency. I prefer mine more fudgy, so I underbake mine. 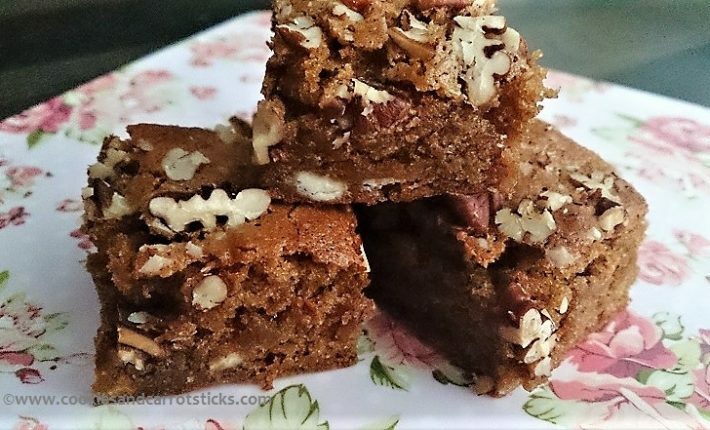 Check out these other blondie recipes: White Bean Blondies and Pumpkin Banana Blondies. *Use certified gluten free if necessary.